Lyme Regis: the perfect UK holiday destination, the town for all seasons. The year begins in January with the annual Lyme Lunge, in which a costumed crowd runs courageously into the winter waters of the bay. April’s Fossil Festival showcases the Jurassic Coast’s most famous rocks; May’s Jazz and Blues Festival its most skilled musicians; August’s Regatta its swiftest boats. Summer closes with a carnival. Autumn opens with Guitars on the Beach, a sandy mass singalong. In November, fireworks dazzle and effigies burn in a huge beach bonfire. Like the town’s spectacular Christmas lights, Yuletide Lyme (a programme of seasonal events) is on throughout December. There’s something to satisfy every member of the family: mini-golf for Grandma, a museum for Mum, Dinosaurland for Dad, crabbing for the kids. Search the shore for fossils, the rock pools for dog whelks and, with the help of local fishermen, the sea for mackerel. For those who prefer the indoors there’s the Marine Theatre, which offers shows for all ages, and the Art Deco-style Regent Cinema, which screens both blockbusters and independent movies hosted by the Lyme Regis Film Society. Situated in the South West of Dorset, England, Lyme Regis is an historic unspoiled seaside resort and fishing port on the world famous Cobb harbour. Surrounded by beautiful coastlines and countryside, the area has now been awarded World Heritage Site Status; famous for its geology and fossil finds. The tourist information pages on this site will show you what Lyme Regis has to offer; how to find us; the interesting things you can do and find here; activities, restaurants, pubs and accommodation, tours, the history and geology of the coastline, where to go fishing and diving, interesting places to visit close at hand and how you can enjoy holidays, short breaks or vacations in summer, autumn, winter and spring. Lyme is the ideal resort with plenty of activities for children – did you know Lyme Regis is twinned with BERMUDA! 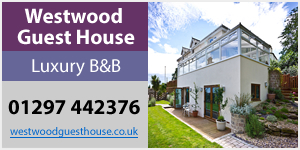 Accommodation in the Lyme Regis comprises of hotels, guest houses, bed and breakfasts, self catering cottages; houses; flats and studio apartments. There are touring camping and caravan parks and holiday parks plus lots of other facilities for groups of young people. Deep sea fishing, mackerel fishing, diving and pleasure trips from the Cobb harbour. Visitors are welcome to The Power Boat Club, Sailing Club or Boatbuilding activity holidays and professional courses. Play golf at our Golf Club (we have a magnificent course with breathtaking views along the coastline), bowls, pool etc. For the children and young adults there is an Amusement Arcade, table tennis, mini putting green and crazy golf. Discos are regularly held at The Marine Theatre. Wind surfing and body boarding is another favourite pastime. Numerous coastal paths and country trails for the walker. Fossil hunting of course, activities for children. Here are some other Lyme Regis photographs of local scenery. There are top class restaurants, friendly pubs and inns that provide restaurant quality meals and bar snacks, tea and coffee rooms, beach side cafés, fish and chip take always. Fresh locally produced vegetables and fresh locally caught fish and shell fish are in abundance. The Tourist Information Centre Guide and previous versions. Visit the Thomas Hardy trail. In addition to guided history, geology and ghost tours, you can follow the Hardy Trail or the Smugglers Trail. The old Town Mill has been renovated and is well worth a visit. 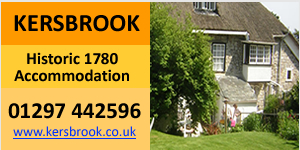 An ideal touring base for the whole of the West Country in the South West of England. Take a stroll with the family along the Marine Parade or the New EAST CLIFF Sea Defence! Visit the town centre shops and specialist local Fossil Shops – and the Charmouth Fossil Shop who recently found and is preparing a giant ichthyosaur. Visit the Lyme Regis annual events page which include Lifeboat Week, Regatta and Carnival Week, The Jazz Festival, a Vintage Motor Cycle Rally, Bonfire and Firework displays as well as several other interesting events.